It’s been long rumoured that Apple will adopt the popular design of the iPad Mini for the iPad 5 since finding success with the design after trialing it with the iPad Mini. The thinner and lighter design, including the slimmer bezels were a hit with the iPad Mini, and Apple are looking to adopt the same design with the iPad 5, according to a number of sources. In fact, a lot of sources are stating that the iPad 5 will just be a bigger 9.7-inch version of the iPad Mini. The same touch-panel technology that made the iPad mini thin and light will likely feature in the next iPad, which is currently being produced by Apple’s Asian suppliers, according to people with knowledge of the matter. How can the iPad 5 get any smaller? 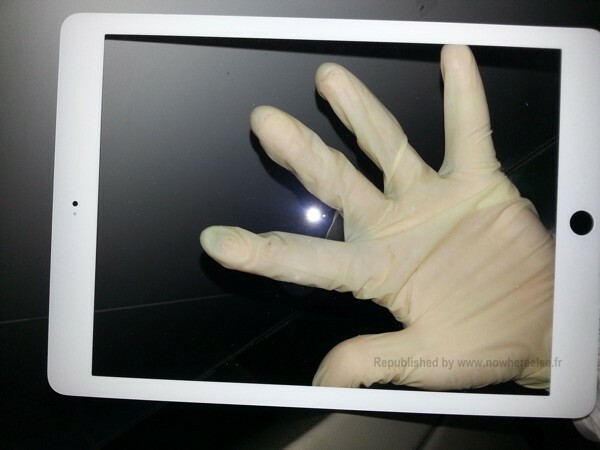 For device makers, the option of using a film-based touch panel is becoming more attractive than before, as the film material has largely overcome previous technical disadvantages against glass, and it has advantages in terms of thickness and weight, said DisplaySearch analyst Shoko Oi. Because Apple is the world’s largest vendor of tablet computers, what technologies it uses to produce iPads could have a significant impact on component suppliers. More demand for film-based touch panels is good news for manufacturers of PET films that are used to produce such panels. The move towards the same design as the iPad Mini for the iPad 5 makes sense, since a lot of space is wasted with the wider bezels, and since the design was such a success with the iPad Mini, it seems sensible to utilise the same design to enable Apple to reduce the overall size of the iPad 5, whilst retaining the same screen size. Will you be buying an iPad 5? Let us know in the comments below.